I so wish our morning shows give me once in a lifetime opportunity to praise them by doing something good but I don’t know how they succeed in stooping to new lows every single time. I don’t really get how they capacitate themselves to touch the bottom of the spectrum every single time, almost every single day they go on air. Well before sharing the subject of my article, I feel like a little introduction about one of my passions is required here. Everyone here knows me as a reviewer & a K-drama fan but there’s another thing that I feel passionately about & that is makeup. Makeup is something that always grabs my attention & I make sure to take some time out to learn & get to know more about it no matter what the platform is. So, because I am very much into makeup, I unfortunately stumbled across one of the episodes of Jago Pakistan Jago that went on-air yesterday i-e May 22, 2017, as it was being suggested to me by YouTube (Thanks YT). In this episode, a competition was being held among 12 makeup artists that were shortlisted by JPG’s team & were then invited to participate. Those 12 makeup artists had to give makeovers to their models & the competition was going to be held for 3 days where by the end of Day 03, the winner will grab Rs. 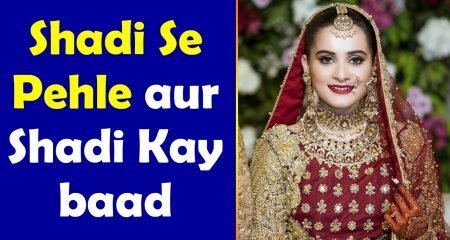 1 Lac cash prize & a diamond ring worth of Rs. 1.5 Lacs sponsored by Damas Pakistan. Now that the introduction is out of the way, let me get onto the judges. The judges were Kashif & Anam, the sibling duo of Kashee’s salon & the celebrity judge accompanying them was Jana Malik. The contenders were going to get 40 minutes for makeup & 20 minutes for hair-styling. In this episode, the makeup artists had to give a Mehandi appropriate makeover to the models, sound pretty simple right? But things just don’t end there, because then Kashee introduces his own model & tells every single participant to recreate the look that he has given to his model. Then the fireworks begin! The contenders get onto their work & Jana Malik is seen praising the fact that everyone is sticking to their own techniques, where someone got onto the foundation first & the others were working on the eye shadows, but I guess that was enough of a quota of niceness that she reached for the day because after that every single comment that she made was nasty, demeaning & degrading. In the beginning, Kashif & Anam seemed pretty pumped up with the idea of the competition & they came making big claims that they are here to mentor the contenders & help them in this field but then they proved that they talked the talk but couldn’t walk the walk! 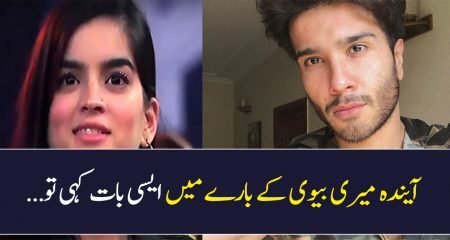 After a few minutes passed by, Anam requested Sanam Jung if she along with other judges could come to the stage to see the makeup in progress & I guess that’s when they unleashed their inner beast, in stead of unleashing the inner makeup artist or mentor in them. Anum started commenting on how people were committing disasters in the name of makeup. I wonder if I’d ever want a mentor like that in my life who’d be so degrading & demeaning. I found it ridiculous how Kashif & Anam, both were adamant that all the contenders should ‘copy’ the look of their model & shouldn’t play to their strengths. First off, there are NO hard & fast rules in makeup, plus there’s no single look that would look similar on two different people because everyone’s features, skin tones, face shapes are different. Also not everyone has the same philosophy of makeup as Kashif or Anam, so not sure why they were acting like spoiled brats who only wanted to shove their makeup ideology down people’s throats! 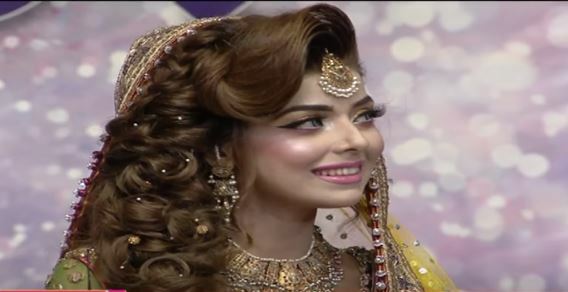 Considering the fact that Kashif thinks of himself as a ‘professional makeup artist’, it was quite unprofessional & pompous of him to bring in his model to restrict the contestants from showing their own skills & channeling out their own creativity. I think he should have told the contestants to use his makeup as an inspiration as this is how makeup works, it’s an art of inspiration, like you can even get inspired by the colors of a vase sitting on the shelf of your dinning room, but the guy who believes in producing clones or photocopies wouldn’t know how inspiration works. There was this makeup artist who traveled all the way from Jehlum to participate in the competition, she did a fabulous job & played with the features of her model perfectly but just because she used copper toned glitter & not the sickening stark yellow gold glitter on the eye sockets, both Anam & Kashif started taking her case for not ‘sticking to the standards’ set by them. 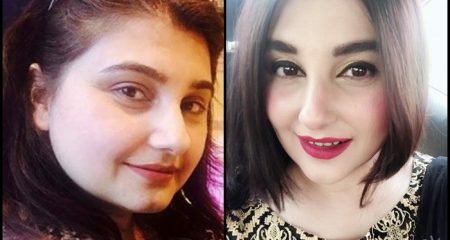 It almost seemed like they both couldn’t tolerate the fact that a simple makeup artist from Jehlum could do a far more better job than them, so they both joined forced to tear her confidence apart & then told her to ‘change’ the glitter on the girl’s eyes. 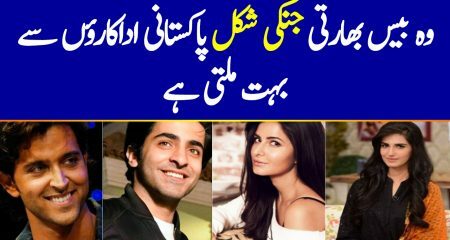 I am sure just because her model looked like a human being & not a plastic mannequin, Anam & Kashif were unable to relate to her craft. I agree, the ‘eye’ makeup that they had given to their model was comparatively simple but the moment the rest of the makeup artists started tweaking with the look, they couldn’t stand it. I do agree that Kashif’s makeup is good but sorry to be bursting the bubble by stating the obvious, I don’t see any variety in his looks. 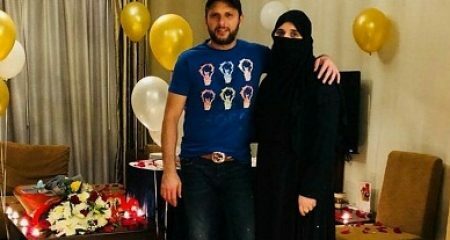 His makeup approach is one-dimensional where he prepares clones or mannequins only for the husbands to not recognize their wives the next day since he completely changes the skin tone & like any typical Pakistani Aunty, turns the bride into ‘gori dulhan’ that people obsess over. I have yet to see different looks from him but even though he has made so many appearances on different morning shows, every single time he does the same look over & over again, so where’s the creativity that a makeup artist should have? I would have never said these things about Kashif & his craft but the fact that he thinks he can literally demean, degrade, insult & embarrass simple women on a National TV that too on a live show is disgusting. Anam kept on repeating that the contestants shouldn’t take their words to their heart as they wanted what was best for them but the way both Kashif & Anam started bullying the participants by making fun of them & nitpicking while standing on their heads definitely showed that they didn’t intend to help them, rather they only came to brag about their social standing in the market in comparison to all the other makeup artists. Speaking of Jana Malik, considering that she has been in the indsutry for such a long time & has been associated with makeup artistry for almost half of her life, it was ridiculous how she was making a fuss about everyone’s lipstick color not matching the lipstick shade that Kashee’s model was wearing. 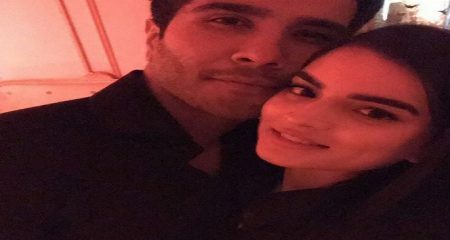 With my little experience with makeup, I can say that a single shade of lipstick doesn’t look the same even on me on different days as it varies with the foundation shade that I choose, so it was sorry to be saying quite ‘stupid’ of Jana Malik to be expecting the exact same shade on everyone’s face. Since, I have already told you guys that I am into makeup, fortunately for me, my best friend shares the same passion as me too & more than makeup, she has a knack for hair-styling as well, that is why she follows different hairstylists on Social Media. I remember it was may be 2 – 3 months back that she shared Kashee’s video with me & told me to watch it vigilantly, when I did I could see two different hands in every other clip. When I asked she told me that she follows this Russain Hairstylist named ‘George Kot’ (Instagram: georgiykot) & Kashee was shamelessly using his clips & merging with his own to fool the innocent people into believing that he could achieve all those hairstyles that are George’s specialty. 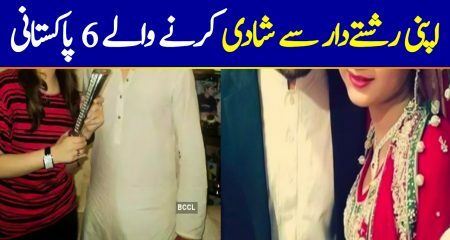 No doubt, I completely respect the fact that the girls at Kashee’s salon do a wonderful job at hair-styling & have been trained by Kashif perfectly, but to see him using such tactics to fool innocent people speak volumes about his ‘ethics’ & his ‘professionalism’ as well which he was bragging about & swearing by. Kashif & Anum got into an argument with a participant who said that Kashif never puts up his hair-styling tutorials on his page & the moment she said it, both the siblings got defensive & started saying that she needs to do a bit of research before making such claims. That’s when I was reminded of the conversation that I had with my best friend & I decided to throw a bit of a light on it too since I totally believe what the contestant was saying was right & Kashif himself is not so ‘doodh ka dhula hua’, when it comes to transparency & ethics! 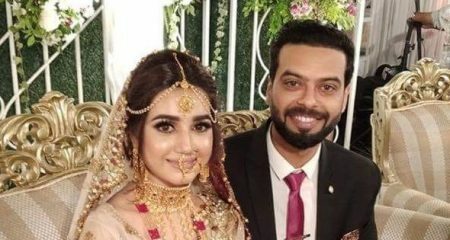 Well, Sanam Jung is another story & she deserves another article which will definitely be published by Fatima & I in coming weeks, that is why I am not touching much on her, but it was shocking to see her turning into a judge herself while completely forgetting the fact that she was there as a host. It was infuriating to see her joining the ‘bully gang’ & making fun of the makeup choices that the makeup artists made for their models. 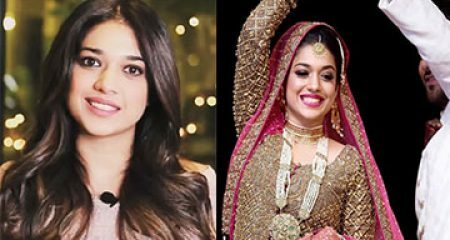 Sanam Jung was all over the place, so was her dress, her existence & her attitude. 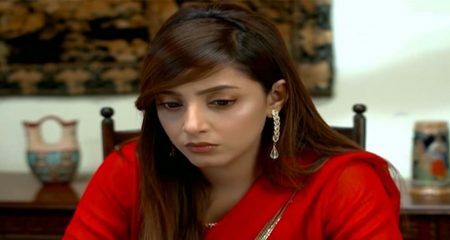 It was amusing how the entire show passed by filled with negative comments whereas I didn’t get to hear a single positive or appreciative comment coming from the judges for any makeup artist – leaving me wondering if this was the level of Kashif & Anam’s mentoring!!! Honestly speaking, I have seen some makeup competitions on Good Morning Pakistan as well & they don’t hand over such huge prizes to their participants, so when Sanam announced all these huge prizes that Jago Pakistan Jago was offering to the participants, I was actually excited & thought that it was a good initiative that they took by acknowledging the winner in an apt way but seeing this episode, I honestly feel these 2.5 Lacs are not worth it especially when the winner will earn them after losing her respect & dignity, after getting degraded & demoralized by the bunch of ill-mannered people. To be honest, Good Morning Pakistan’s team mustn’t have given such huge prizes but I always found their judges to be quite decent & humane with their criticism. 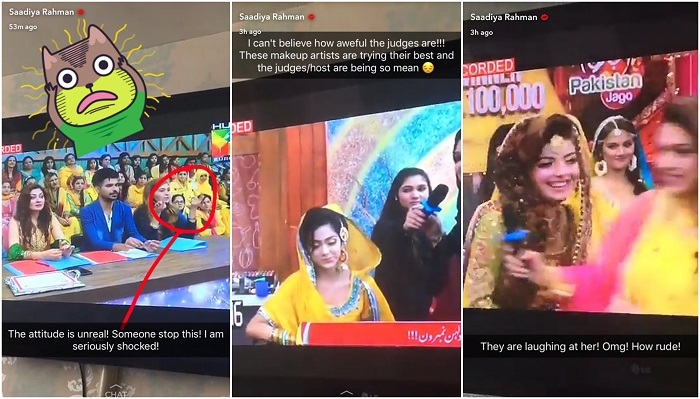 I did see some makeup crimes on Good Morning Pakistan’s makeup competition as well but judges like Waqar, Wajid, Huma or Aliya Tipu were graceful enough to tell them that they needed more practice & more learning without ripping their confidence into pieces, which is exactly how the encouragement should be. 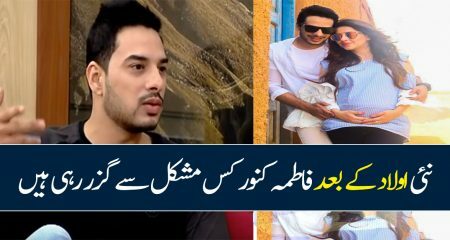 There were so many loose comments that Jana Malik, Kashif, Anam & even Sanam Jung made about makeup that it seriously broke my heart for the participants who came to their show that day. Kashif seemed to be on a trip of his own where he was out there to prove that no one could match his level. There was this participant who said she was a makeup educator for 16 tears & while speaking to her Kashif was like ‘chalain dekhte hain’, like so much of attitude for what? Just because you have the art of turning regular girls into heavily photo-shopped plastic dolls or for making them unrecognizable with that Moon inspired foundations that you use? 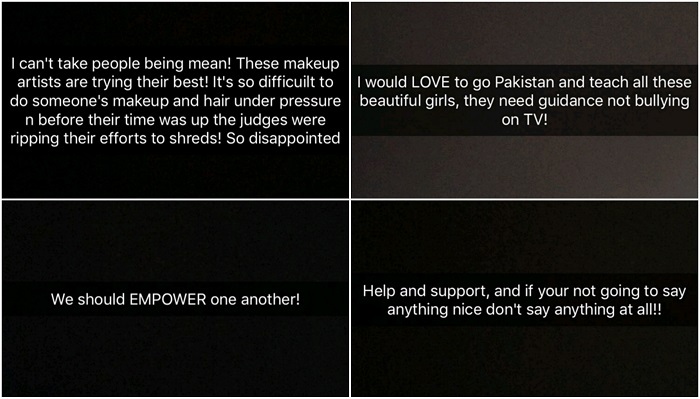 Just when I was wondering if I was the only one who felt this way, to my surprise when I logged onto Snapchat, I saw Saadiya Rahman (Instagram: saadiya_rahman) a UK-based Pakistani Makeup Artist (who is amazing by the way at her craft) snapping about this entire episode & sharing her dismay about this entire episode of Jago Pakistan Jago. I could totally see why she was upset because Makeup is a skill that can be improved so to see some makeup artists being degraded for something that can be improved must have disturbed all those who feel passionately about makeup. 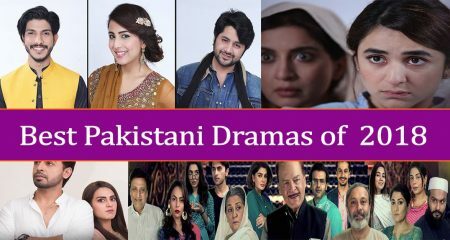 Also, these shows are what keep us overseas Pakistanis connected to Pakistan, so to see these sort of people on our shows literally spoil everything for us. 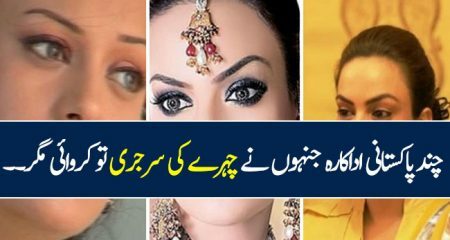 In the beauty community all around the world, where Beauty Gurus, Makeup Artists, Youtubbers are coming together to empower & build each other up, what sort of image the likes of Kashif & Anam are showing to the world about Pakistani makeup artists, where they can’t even share a name of a product they use on their models in shows (courtesy Good Morning Pakistan) & only come to brag about their achievements (read clientele) as makeup artists? Also, since Anam & Kashif said ‘eyeliner’ showcases the true caliber & craft of any makeup artist & they would judge the participants on the basis of the perfection of the eyeliner, let me insert a screenshot of the eye-liner that Anam applied on a model in Good Morning Pakistan’s show that aired on 19th May, 2017, so that you can now freely judge her caliber as a makeup artist!!! Looks like this circus of a competition is going to be held for 3 days & I am already feeling bad for the participants who’d have to once again come under the scrutiny of the most weird & ill-manner makeup judges ever seen on a morning show. 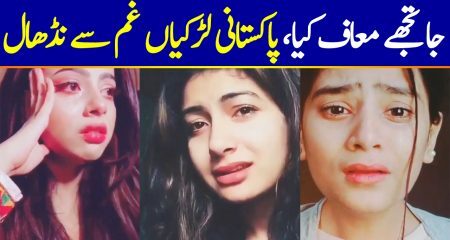 I wish this feedback reaches to Kashif, Anam, Jana & Sanam to know how they literally ruined the competition with their sorry existence & bad attitude. I wish someone mentors them first on basic ethics, manners & reasonability!